Product prices and availability are accurate as of 2019-04-16 08:49:53 EDT and are subject to change. Any price and availability information displayed on http://www.amazon.com/ at the time of purchase will apply to the purchase of this product. 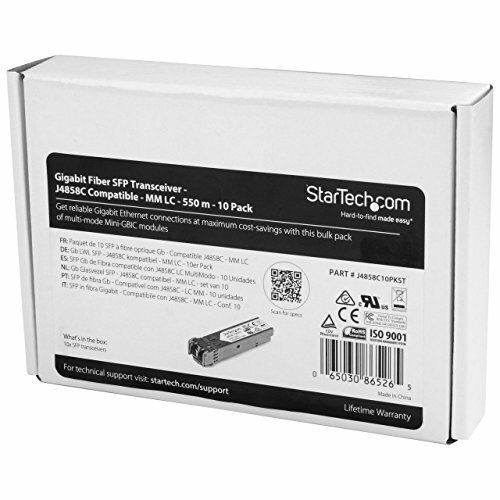 Get reliable Gigabit Ethernet connections at maximum cost-savings with this bulk pack of multi-mode Mini-GBIC modules - Ideal for large-scale deployments or installations on multiple devices, this bulk pack of HP® compatible Gigabit fiber SFPs is engineered by StarTech.com to deliver reliability and maximum cost savings. Built to exacting specifications and fully tested to ensure maximum performance, these high-quality transceiver modules can be installed into HP networking devices that support the J4858C transceiver module, as well as other major brands of networking equipment. These 1000Base-SX SFPs deliver Gigabit connectivity over multimode fiber cable with a range of up to 550 m (1804 ft.). The SFP transceivers provide a dependable and cost-effective way to add, replace or upgrade the Gigabit fiber ports on your networking equipment, and they're backed by a lifetime warranty. Built for reliable network performance The Gigabit SFP transceivers included in this 10-pack are manufactured by StarTech.com to meet or exceed OEM specifications and comply with the industry’s MSA (Multi-Source Agreement) standards. Committed to the highest standards of quality, StarTech.com produces an extensive range of networking products including copper and fiber network cards, fiber media converters, Ethernet switches and wireless products. 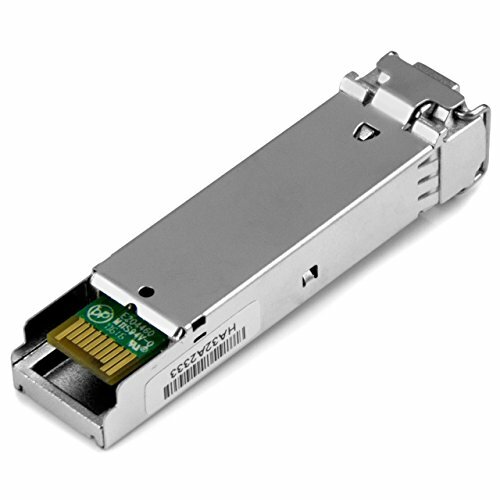 Fully compatible with HP and other major brands These Gigabit multimode SFPs are engineered to the highest quality standards and are 100% HP compatible, equivalent to the HP J4858C mini-GBIC. 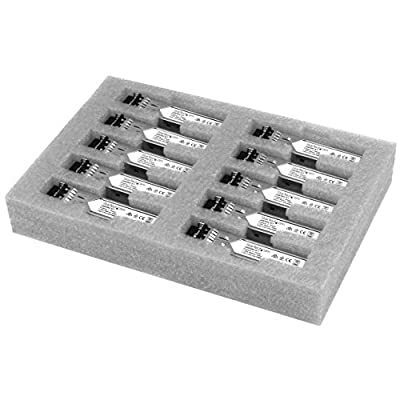 StarTech.com SFP transceivers are configured and fully tested to ensure they work seamlessly with HP or other major brands of networking equipment. You can be assured that the use of StarTech.com SFP products should not affect the warranty protection of your networking equipment. Convenient and scalable Delivering both convenience and scalability, these Gigabit fiber transceivers are fully hot-pluggable, which enables you to install them without interrupting network traffic or having to reboot your equipment. They provide a versatile and cost-effective solution that’s compatible with a wide range of Gigabit fiber networking devices. Ideal for use in HP switches, routers and other networking equipment, the SFPs provide reliable performance, enabling you to expand your network to remote segments cost-effectively. The SFP transceivers support multimode fiber cable with a maximum distance of 550 m or 1804 ft., and maximum data rates of up to 1.25Gbps. The GbE fiber SFPs also support Digital Diagnostics Monitoring (DDM). You can count on J4858C10PKST for reliable performance, backed by a lifetime warranty and free lifetime technical support. GUARANTEED 100% HP COMPATIBLE: Meets MSA standards and is designed, programmed and tested to perform identically to the HP J4858C optical transceiver module. 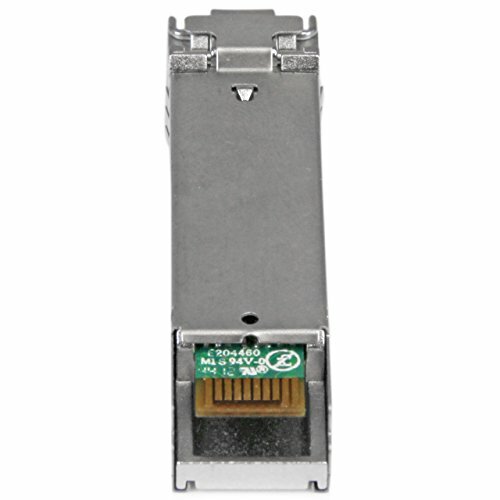 LIFETIME WARRANTY: This HP J4858C compatible SFP+ module is backed by a lifetime warranty from StarTech.com. 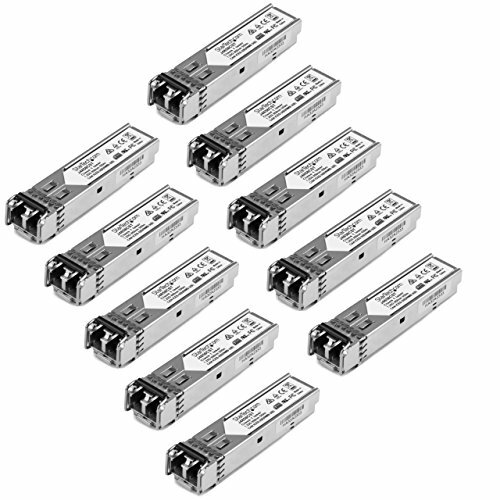 SFP FIBER MODULE PERFORMANCE: Max Data Transfer Rate: 1 Gbps |Wavelength: 850 nm | Type: Multimode Fiber | Connection Type: LC Connector | Maximum Transfer Distance: 550 m (1804 ft) | Power Consumption: less than 1.3 Watts | MTBF: 3,381,761 hours | DDM: Yes | 10 Pack SIMPLE INSTALLATION: This 1000BASE-SX module can be plugged directly into HP's routers or switches and is hot-swappable making upgrades and replacements seamless by minimizing network disruptions. INDUSTRY LEADING PRODUCT SUPPORT: All StarTech.com SFP & SFP+ transceiver modules are backed by free lifetime multilingual technical support before and after purchase. StarTech.com offers a wide variety of SFP modules and direct-attach SFP Cables, providing the convenience and reliability you need to ensure dependable network performance.